SUNDAYS! Put on my aunt's handmade 100% wool sweater( isn't she talented??!) 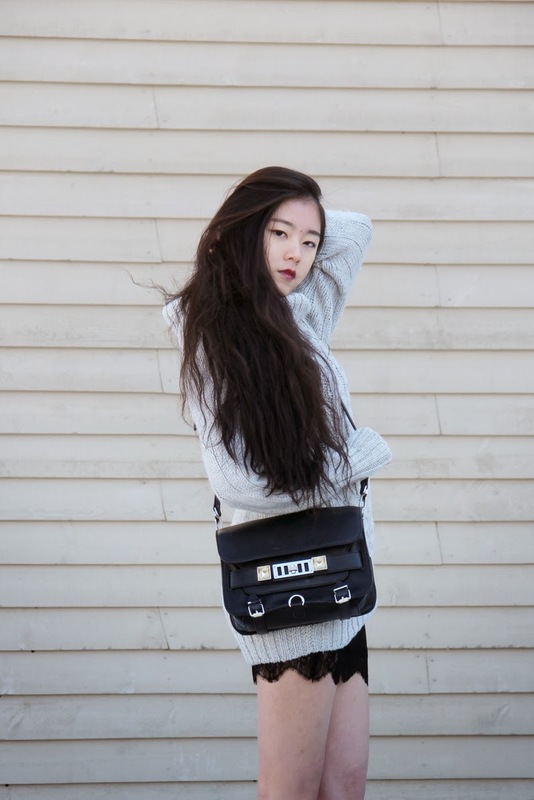 and a little lingerie skirt, and here it is, the most comfortable attire for the most cozy day. Ohh don't forget the messy bed hair! Don't you just love this combination? But I also pair with these classic heeled sandals and my favourite bag to complete the look. 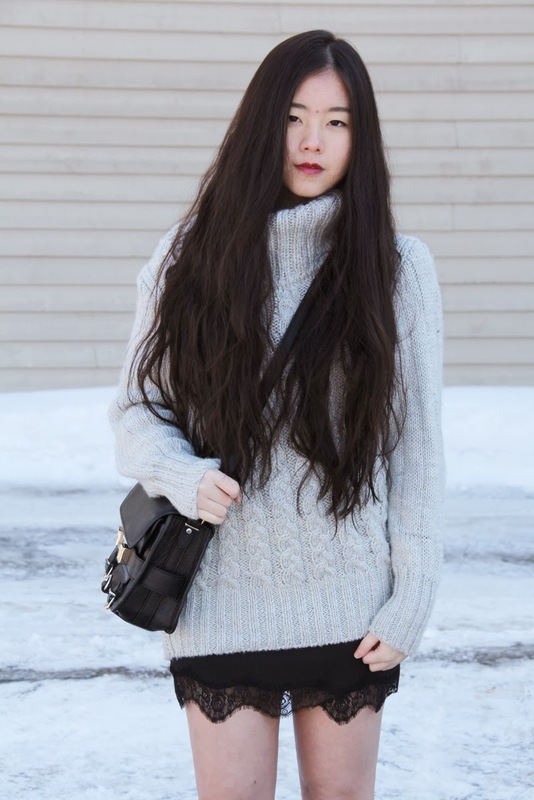 If you are uncertain how to style a lingerie skirt, an oversized cozy sweater is definitely a good choice! If you haven't check out my giveaway please see here. Love your Hair & your style, so Gorg! i'm OBSESSED with your blog!! !